In the land where Elvis is royalty and barbecue reigns supreme, many Memphians claim loyalty to one restaurant for a recurring pork fix. However, a number of local spots now boast a barbecue niche, with options and specialties in addition to the traditional Memphis-style dry- or wet-rub pork. If you consider yourself a barbecue connoisseur, now is the time to expand your horizons! If you are a Memphis novice, there are extensive and delicious choices awaiting you. On your path to becoming an expert, you will learn that the Memphis barbecue culture is not only about the food. Each local restaurant has its own history that, when woven together, forms a delicious tapestry of taste that any Kansan, Carolinian or Texan will envy. Here’s what makes some of Memphis’ top BBQ restaurants unique and why knowing the history behind them will make that barbecue feast taste even better. Hours: Tuesday through Thursday, 4:30 p.m. to 10:30 p.m.; Friday, 11 a.m. to 11 p.m.; and Saturday, 11:30 a.m. to 11 p.m. 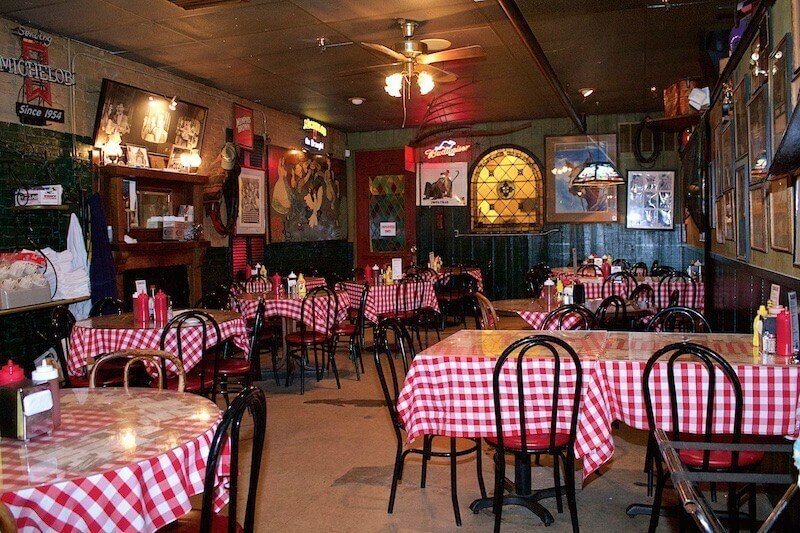 Since 1948, the Rendezvous has been a 901 tradition. The restaurant boasts thousands of patrons weekly, yet is nestled in the basement of an alleyway. The story starts when Charlie Vergos opened a small lunch counter in downtown Memphis. Unintentionally stumbling upon a coal chute below the diner unlocked the possibility of grilling meat, and the rest is history. Rendezvous has made dry-rub ribs a classic, and their royal customers agree – B.B. King, The King of Rock ‘n’ Roll, Martin Luther King Jr., and King Cotton. Here, Memphis history is plastered on every wall, from concert memorabilia to junkyard finds. Rendezvous’ local charm seems impenetrable by fame. If you stop by, don’t forget to order a side of the charcoal-broiled lamb riblets, a unique and tasty tradition that is easily overshadowed by the one-of-a-kind ribs. This side item, however, is not to be missed. Hours: Tuesday through Saturday, 11 a.m. to 6 p.m.
After decades of serving family-style, dry-rub ribs and wet barbecue shoulder sandwiches, Cozy Corner faced a streak of bad luck. On January 8, 2015, an electrical fire caused extensive damage to the restaurant, allowing the Memphis community to do what they do best: support and love one another. Local chefs banded together to host a progressive dinner in Brookhaven Circle dedicated to Cozy Corner, ensuring that the barbecue icon would continue serving its famous food for years to come. Currently, Cozy Corner is located across from their original location in a temporary spot at 726 N. Parkway. They have a 12-table, dine-in area, as well as a popular call-in, to-go option. Now in its 25th year, this barbecue icon has a history permanently marked by the dedication of the Memphis community, somehow causing their famous slow-smoked meat to taste even better. If you’re searching for Cozy Corner’s specialty, try their Cornish game hens. Juicy on the inside with nearly blackened skin on the outside, smoked to perfection with a sweet glaze to finish, it’s a dinner plate worth diving into. When a Memphian thinks of The Bar-B-Q Shop, award-winning sauce is the first thing that comes to mind. At this local gem, two gourmet sauces dominate the menu. Whether it’s the original mild version or the one with a little more kick, Dancing Pigs Sauce is the secret to making any meat taste like the soul of Memphis. These secret recipes have tickled taste buds for more than five decades, and after initially selling the sauce out of the trunk of a Ford Bronco, the Vernon family finally decided to expand. Now selling Dancing Pigs sauce and seasoning in more than 100 Kroger and Fresh Market grocery stores, this family’s secret sauce has made national news more than once. Memphis is proud to claim The Bar-B-Q Shop as its own. Although not the oldest joint in the city, few would argue against the rich flavor of Central’s dry rub. Owners Craig Blondis and Roger Sapp actually met as competitors in Memphis in May’s World Championship Cooking Contest, but easily transitioned into business partners to start their own restaurant. In 13 years, Central BBQ has opened three restaurants and been featured in the national spotlight in programs, such as “Pitmasters,” “The Best Thing I Ever Ate” and media, such as USA Today and Southern Living. Make sure to save room for dessert, because the hip folks at Central BBQ make a mean peanut butter pie! Hours: Monday through Wednesday, 11 a.m. to 10 p.m.; Thursday, 11 a.m. to 11 p.m.; Friday and Saturday, 11 a.m. to 12 a.m.; Sunday, 11 a.m. to 7 p.m.
One insurance salesman’s vision to change the culture of a rough neighborhood corner has now become one of the most delicious barbecue joints in the country. With this vision, Jim Neely built two specialty barbecue pits in an abandoned grocery store, allowing 500 slabs of ribs at a time to cook under indirect heat. Through barbecue, Jim has provided jobs for his family, business for his neighborhood and happiness to all barbecue lovers. Vogue, People magazine and The Commercial Appeal all agree on the unique flavor not just of the pulled pork with secret sauce, but also of the Interstate original, Bar-B-Q Spaghetti Dinner. This special combination of barbecue sauce, spaghetti pasta and a side of slaw has helped Interstate gain a delicious, 37-year-long niche in the flourishing Memphis barbecue market. Whether searching for Memphis’ classic pork ribs or looking to taste something unique, the city’s many barbecue joints all have something to offer. Revealing the history behind each local delicacy, however, somehow makes the barbecue taste better–even to a 901 pork veteran.